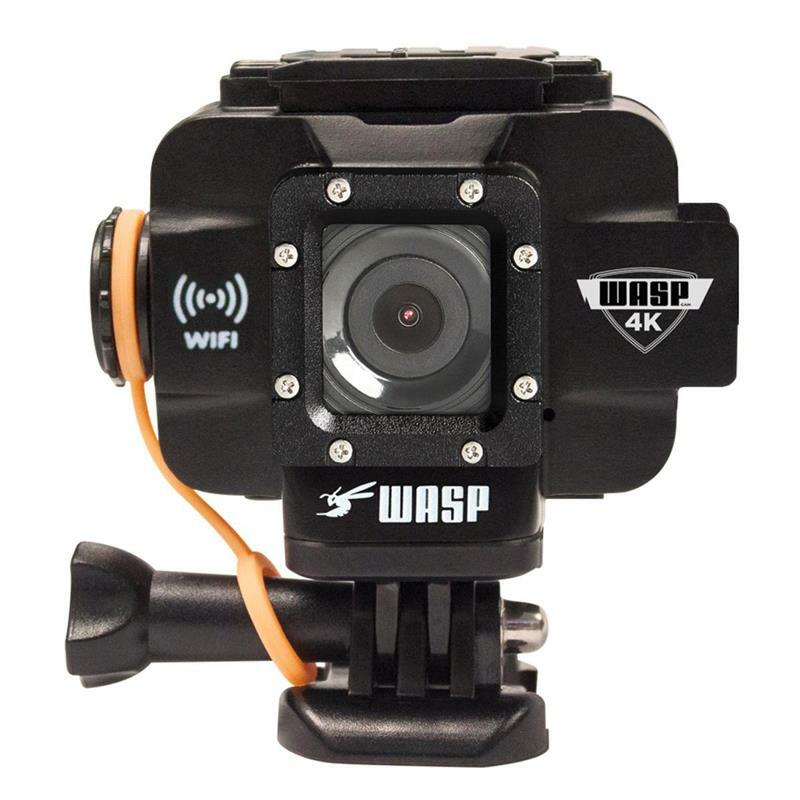 The ‘WASPcam 9907 4K’ is one of WASPcam’s newest camera models, with new 4K video resolution capabilities, and 20MP photo quality. 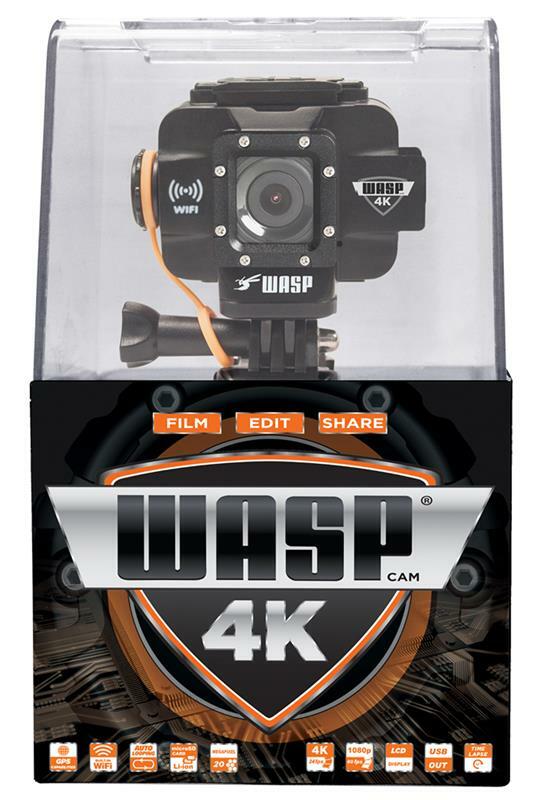 The new WASPcam 9907 4K is WASPcam’s most technically advanced camera to date, and allows users to shoot in stunning 4K, shoot a time-lapse video and shoot crystal clear still photos. The 9907 4K records HD video up to 4K/24fps (and 1440p/30fps, 1080p/60fps, 1080p/30fps, 720p/120fps, and 720p/60fps), snaps still-images up to 20-megapixel (or 12-megapixel), and built-in Wi-Fi connects the camera to an iPhone or Android for live viewing, recording and sharing content online with friends and fans. Where the 9907 4K really stands out from competitors is with the new features it brings to the table. 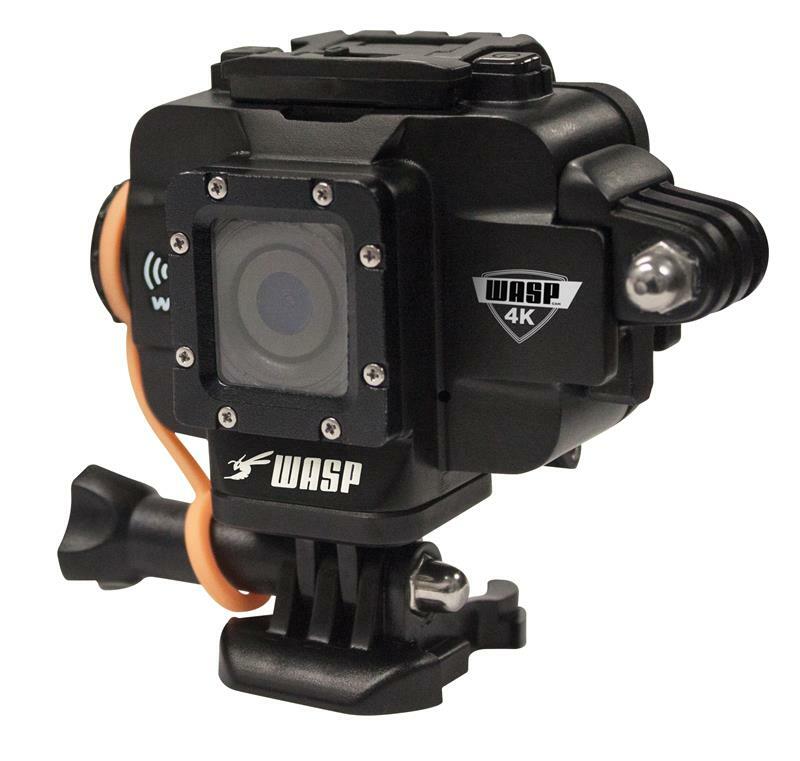 The WASPcam 9907 4K is completely waterproof, down to 98 feet, without the addition of a waterproof case, and includes a 1.5-inch LCD viewing screen on the back of the camera. 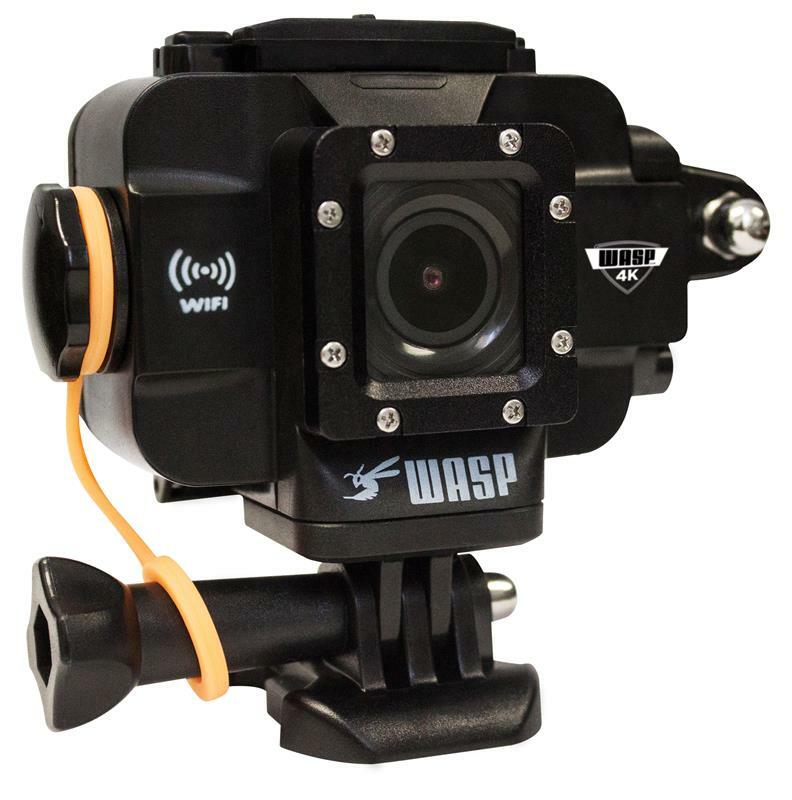 The WASPcam 9907 4K has loop recording and an auto looping function, which allows the camera to be used as a dash camera. Users can have their camera record in two-minute, five-minute, or 10 minute segments. Or turn off loop recording for continuous recording. The auto looping function allows the camera to record over older footage when the memory card is full. In addition to stunning 4K video quality, the 9907 4K also includes a new Video Time-lapse feature, allowing users to shoot time-lapse videos at either 1, 3, 5, 10, 30, 60 second intervals. NOTE: The WASPcam 9907 4K Camera supports microSD cards up to 64GB, class 10.